Om du blir utsatt för utpressningskrav från advokater som påstår att du fildelat: Betala inte! Vad gör man om man får ett kravbrev på posten från en juristfirma där de påstår att man har fildelat olagligt, och kräver att man betalar X antal tusen kronor till dem för att slippa bli dragen inför domstol? 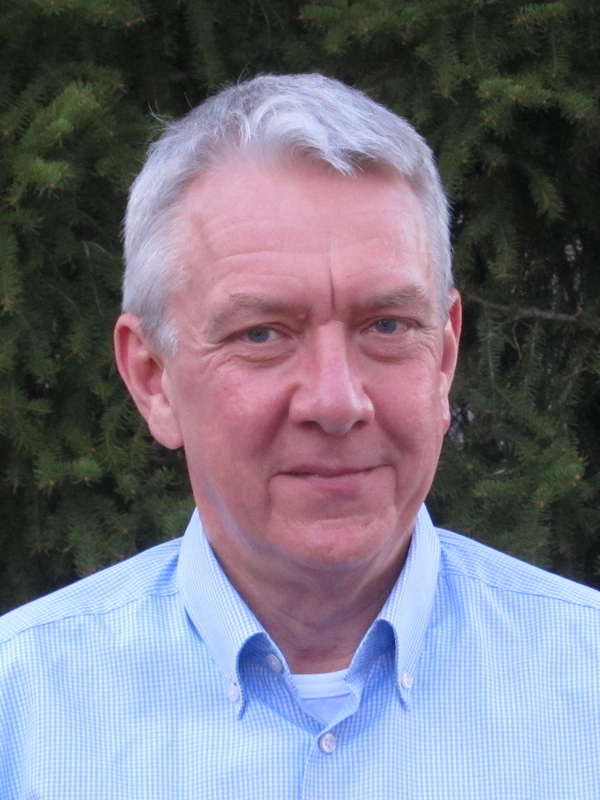 – Betala inte. Du behöver inte ens svara på det. I slutänden är det domstol som ska bedöma om man ska betala eller inte. Vi har sett den här typen av brev tidigare, och det är väldigt få gånger som de som står bakom kraven har tagit det vidare till domstol. Men om ärendet skulle gå vidare till inkasso är det viktigt att meddela inkassobolaget att man bestrider kravet. Bestrid fakturan om/när den går till inkasso. Bestridandet kan med fördel vara in blanco, alltså att man inte ger några skäl alls till varför man bestrider, utan bara berättar att man gör det. När jag själv har fått andra orättmätiga krav brukar jag ta en kopia på kravet, skriva BESTRIDES tvärs över med tjock rödpenna och underteckna, och skicka tillbaka. Om motparten väljer att gå vidare till en domstolsförhandling (vilket inte på något sätt är säkert) kommer den förhandlingen såvitt jag förstår gå enligt det som kallas ”lagen om tvistemål om mindre värden”, eller ”förenklade tvistemål” som den också kallas. Det är en stor fördel för en själv som tilltalad. mål som rör tvister vars tvisteföremål uppenbart understiger ett halvt prisbasbelopp, för närvarande 22 400 kr, handläggs som huvudregel som förenklade tvistemål. att lämna in ett tvistemål om mindre värden kostar utpressaren (advokatfirman) 900 kronor. Om man som utpressningsoffer förlorar målet i slutändan får man betala de 900 kronorna förutom själva utpressningskravet. Men mer än så blir det inte ens i värsta fall. Och om man inte förlorar får utpressaren själv stå för de 900 kronorna, vilket förstås försämrar riskkalkylen för denne. Själv kan jag tillägga att såvitt jag vet har ingen fildelare i Sverige någonsin blivit dömd mot sitt nekande. Alla domar som har fallit har varit mot personer som var dumma nog att själva erkänna att de fildelat olagligt. Så som sagt, lyssna på professor Wolk och ignorera första kravet, och bestrid in blanco om/när det kommer papper från inkassobyråer och/eller domstolar. Och grips inte av panik, för även om utpressaren mot förmodan drar det till rättegång och vinner, behöver man i vart fall inte betala några dyra advokater. Disclaimer: Jag är förstås inte jurist, utan det här är bara så som jag har förstått det hela efter att ha följt upphovsrättsfrågan politiskt i ett drygt decennium. 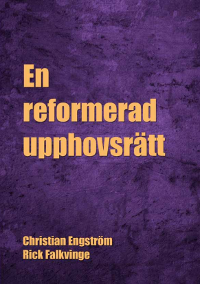 Lagen om upphovsrätt behöver reformeras så att det blir lagligt att fildela. Right now, the European Parliament is considering changes to the European copyright legislation, and how it will apply to the internet. On October 10, 2017, the parliament’s Legal Affairs Committee JURI will vote on what the new EU Copyright Directive will contain. Right now – before October 10 – you can help defending freedom on the internet by emailing the members of JURI, to ask them to vote no to the bad proposals and yes to the good ones. The outcome of the votes in JURI hangs in the balance, and several important issues are too close to call. If there are enough emails from ordinary citizens that demonstrate that there are people out there who care, we have a good chance of achieving at least some improvements to copyright. But if nobody shows an interest, there is an overwhelming risk that the copyright lobby will win, and will introduce further restrictions and even more absurdities into copyright on the internet. Right now, you as and individual can make a difference. 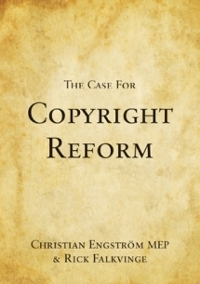 The copyright proposal contains many different parts. Here is a list of five issues that have not been decided yet, and where the vote in JURI could go either way. Two of them are idiotic proposals that we need to stop, but the other three are positive opportunities to make at least some improvements. According to this proposal all internet platforms, like for example YouTube and Facebook, would be required to install automatic filters to block uploads that infringe copyright. Can a computer really decide accurately what is an infringement, when it normally takes courts and highly trained copyright lawyers to determine if a publication falls under various exceptions and limitations or not? No, of course an automatic upload filter cannot do that. A computer has no way of telling if a certain film clip is satire or parody, for example, or represents some other kind of use that is covered by an exception in the copyright legislation. The result will be that the internet platforms will rather block too much than to little, in order to be on the safe side and avoid having to pay damages. This reduces both freedom of speech and artistic creativity. Formally speaking this is not censorship, since censorship is when the government bans the publication of something. But in practice, the effect will be the same – except that there is no due process, and no way of appealing if you think your material has been blocked unjustly. This is a really bad proposal. Newspaper publishers want to ban everybody from linking to news articles, unless they pay the media companies for the right to link. This proposal would apply to everybody, from Google to ordinary internet users and bloggers. If the proposal goes through, most of the internet as we know it will become illegal overnight. That you can link to whatever you want without having to ask for permission is the foundation of the internet, and what has made the net what it is today. What kind of internet would we get if you ran the risk of being sued for damages every time you post a link? Most of the time nobody would of course bother suing you, but the risk would be there every time you link. The old media lobbyists in Brussels are pushing this proposal because the media companies hope to extort money from Google every time Google links to a news article. But when legislation like this has been introduced in some countries (like for example Spain), Google just stopped linking to news articles, which made old media lose even more readers. And even if this was not the case and everything worked just like the newspaper publishers are hoping, the potential payouts from Google would be peanuts when divided between all actors who publish things on the internet. But despite this, the legacy newspaper publishers are continuing to demand that it should cost money to link, in some kind of desperate hope that if they can just rein in those pesky internets, everybody will go back to reading Properly Authorized News on paper, and the natural order of things will be restored. Remixes, mashups, fan fiction, and memes in the form of a picture with a text, are important and popular aspects of modern internet culture. Unfortunately, most of them are illegal according to today’s copyright legislation, since they rely on quoting pictures, film clips, and music. To remedy this problem, the European Parliament’s Internal Market Committee IMCO has tabled a very good proposal (Amendment 55) to ”allow for the digital use of quotations […] within user-generated content for purposes such as criticism, review, entertainment, illustration, caricature, parody or pastiche”. This is a very good proposal, that would help harmonize the single market if it becomes mandatory for all member states. If enough citizens show their support for it, it can become reality. In a recent verdict against Wikimedia, a Swedish court decided that it is illegal to photograph a public work of art and post it on the internet, unless the artist who created the work has been dead for at least 70 years. If you take a selfie in front of a public statue you may (at least in theory) be sentenced to pay damages to the organization that represents the dead artist. 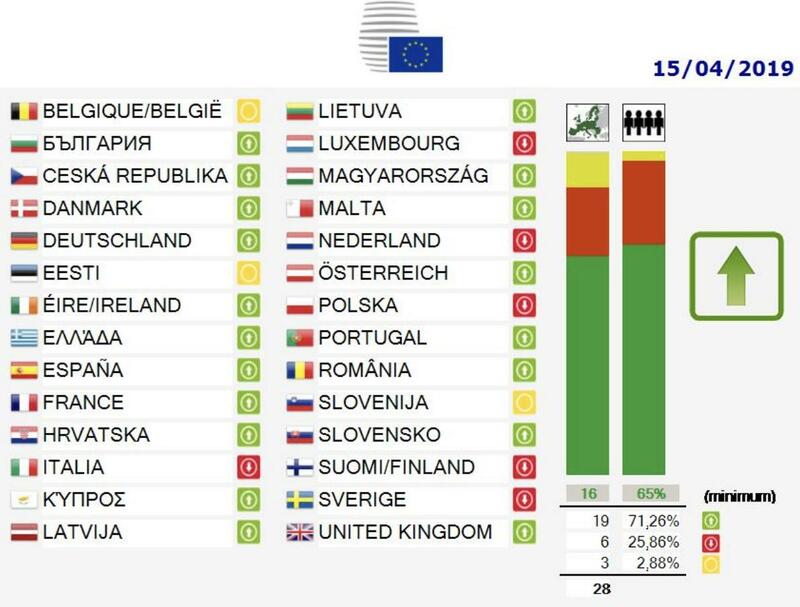 The proposal to introduce ”freedom of panorama” on the EU level would address this problem, and remove one of the more blatant absurdities from copyright legislation. Data mining is a technique where you let a computer sift through large data sets (like, for example, data bases containing millions of scientific articles), and look for patterns and correlations that no human would be able to find because there is such a vast amount of data. This technique has proved very useful for finding new knowledge in many areas. Today, however, data mining is often in breach of copyright, since it is considered that the authors of the scientific articles and other data would have to give an explicit permission for their articles to be used in that way. From a practical point of view it would be impossible to get such permissions from the authors of millions of different articles, so in practice, data mining is illegal today in many cases. The EU wants to introduce a mandatory exception to copyright to allow data mining, and this is a good thing. But unfortunately, the proposal as it stands is too narrowly drafted. Data mining would become legal for ”scientific institutions”, but not for other actors such as independent researchers, research companies, journalists, or ordinary citizens. The proposal for an exception for data mining is basically good, but it needs to be extended so that it applies to everybody. Write yourself. If there are suddenly lots of identical emails where the text is just copy-pasted, the recipients will (quite rightly) see it as spam. This usually does more harm than good. It is more important that you have written the text of your email yourself than that it is perfect. Write in English, all Members can handle that. Be brief, roughly like an ordinary comment on Facebook. Pick one or two of the issues/arguments, and focus on those. If everybody chooses their own favorite issue or argument, there will be many different emails from different people highlighting different aspects. This is exactly what we want for the campaign to be as efficient as possible. You should not feel that you have to cover all arguments, one or two will do nicely. The entire email does not have to be longer that two or three paragraphs. Be polite. No matter how upset you are, write in a nice and polite way. The object is to convince the committee Members, not to vent anger (even if the anger as such may be entirely justified). If nothing else, remember that some of the Members that you will be writing to are already on our side and agree with us, and you would not want alienate or be rude to them. Email all the Members of the JURI committee. In the position we are now, before October 10, 2017, all the Members of the JURI committee are of interest, but only they. At a later stage, when there will be a vote in plenary, it may be that we want send emails to all the Members of the European Parliament. But not now, now it is JURI we should focus on. You can use this mailing (“mailto”) link to create an email to all 46 delegates of the JURI committee. The mail addresses come from this official page at the European Parliament. It is easy to think that you cannot influence anything as an ordinary citizen, but this is completely wrong. When I was a Member of the European Parliament 2009-2014, I could see with my own eyes the enormous difference it makes when ordinary citizens take an interest and start emailing the parliament. 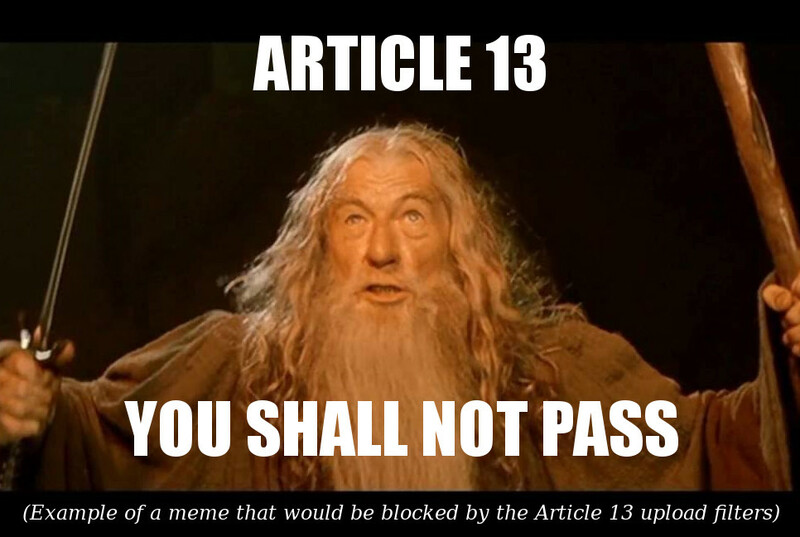 This was how we won the fight against the ACTA agreement last parliamentary term. An individual citizen may be just a drop in the ocean, but many drops together can become an unstoppable flood wave. Now we once more have the opportunity to show that committed citizens can beat the Brussels lobbyists! Sit down today and start drafting your email to the Members of the JURI committee. You will make a difference. EU-parlamentet arbetar just nu med att göra förändringar i copyright, och hur den ska gälla på internet. Den 10 oktober ska parlamentets rättsliga utskott JURI, som är ansvarigt för frågan, rösta om vad som ska ingå i EU’s nya upphovsrättslag. Just nu – innan den 10 oktober – kan du göra en insats för friheten på nätet, genom att mejla ledamöterna i JURI och be dem rösta nej till de dåliga förslagen och ja till de bra. Det är mycket osäkert hur det kommer gå i omröstningarna i JURI-utskottet, och flera viktiga frågor står och väger. Kommer det tillräckligt många mejl från vanliga medborgare som visar att det finns folk därute som bryr sig, då har vi en stor chans att få igenom åtminstone vissa förbättringar av upphovsrätten. Men om ingen visar intresse är risken stor att upphovsrättslobbyisterna vinner, och det blir ytterligare skärpningar och ännu fler orimligheter i upphovsrätten på internet. Just nu kan just du göra skillnad. Förslaget till förändrad upphovsrätt innehåller många delfrågor, och här kommer en lista över de fem frågor som det är hårdast strid om. Två av dem är idiotiska förslag som det gäller att sätta stopp för, men de andra tre är positiva möjligheter att göra åtminstone vissa smärre förbättringar. 1. Dåligt förslag: Automatisk filtrering av uppladdningar (automatic upload filtering). Enligt förslaget skulle alla plattformar på internet, som till exempel YouTube och Facebook, installera filter som automatiskt bestämmer om något som laddas upp strider mot upphovsrätten. Kan en datamaskin verkligen avgöra det med säkerhet, när det i vanliga fall krävs domstolar och högt utbildade upphovsrättsjurister för att utreda vad som är tillåtet och inte inom upphovsrätten? Nej, naturligtvis kan ett automatiskt filter inte göra det. 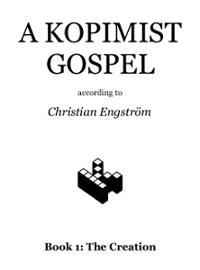 En dator kan inte avgöra om ett visst klipp till exempel är satir, eller något annat som det finns lagliga undantag för. Följden blir att internetföretagen kommer ta det säkra före det osäkra och hellre blockera för mycket än för lite, för att undvika skadeståndskrav. Det inskränker både yttrandefrihet och konstnärlig kreativitet. Rent formellt räknas det här inte som censur, eftersom censur är när staten förbjuder publicering av något. Men i praktiken blir effekten densamma – förutom att det inte sker någon rättslig prövning, och att det inte går att överklaga om man tycker att ens material har blivit blockerat felaktigt. Det här är ett riktigt dåligt förslag. 2. Dåligt förslag: Länkskatt (link tax). Gammelmedia vill förbjuda alla att länka till nyhetsartiklar om de inte betalar mediaföretagen för att få länka. Enligt förslaget ska det här gälla alla, från Google till vanliga internetanvändare och bloggare. Om det här förslaget går igenom, innebär det att det mesta av det internet vi känner idag blir olagligt över en natt. Att man kan länka till vad man vill utan att behöva fråga är ju själva grunden för internet, och det som har gjort nätet till vad det är idag. Vad skulle vi få för internet om man riskerar att få betala skadestånd varje gång man postar en länk? I de allra flesta fall skulle förstås ingen bry sig om att stämma en, men risken skulle finnas varje gång man länkar. Att gammelmedias lobbyister i Bryssel driver det här förslaget beror på att mediaföretagen hoppas kunna pressa Google på pengar för att Google länkar till nyhetsartiklar. Men när sådan här lagstiftning har införts i en del länder (till exempel i Spanien) har Google bara slutat länka till nyhetsartiklar, vilket gjort att gammelmedia förlorat ännu fler läsare. Trots det fortsätter gammelmedia att driva kravet att det ska kosta pengar att länka, i någon sorts desperat förhoppning om att allt ska bli som förr om de bara kan kväsa dom där internetten. 3. Bra förslag: Tillåt remixer och användarskapat innehåll (remixes and user generated content). Remixer, mashups, fan fiction och memer i form av en bild med text är viktiga och självklara inslag i den moderna kulturen på internet. Tyvärr är de i dagsläget oftast olagliga enligt upphovsrätten, eftersom de bygger på att man citerar bilder, film och musik. Enligt dagens upphovsrätt har man rätt att citera text, men det finns ingen motsvarande generell rätt för bilder, film och musik. För att råda bot på det här problemet har EU-parlamentets kulturutskott CULT lagt ett bra förslag (ändringsförslag 56) om att ”tillåta den digitala användningen av citat eller utdrag ur verk […] i användarproducerat innehåll i kritik-, gransknings-, underhålls-, illustrations-, karikatyr-, parodi- eller pastischsyfte” (så länge det inte orsakar större ekonomisk skada). Det här är ett mycket bra förslag, och om tillräckligt många medborgare visar sitt stöd kan det bli verklighet. 4. Bra förslag: Panoramafrihet (freedom of panorama). Enligt en dom mot Wikimedia för några månader sedan är det förbjudet i Sverige att ta en bild där det ingår ett offentligt konstverk och lägga upp den på internet, om inte upphovsmannen till konstverket har varit död i 70 år. Vill du ta en selfie framför Poseidon-statyn på Götaplatsen och posta på sociala media får du vänta till år 2025, eftersom konstnären Carl Milles inte dog förrän 1955. Struntar du i förbudet kan du (åtminstone i teorin) bli dömd att betala skadestånd till organisationen som företräder den döda konstnären. Förslaget om ”panoramafrihet” skulle råda bot på det här problemet, och ta bort en ren absurditet ur dagens upphovsrätt. 5. Bra förslag: Tillåt data mining (data mining). 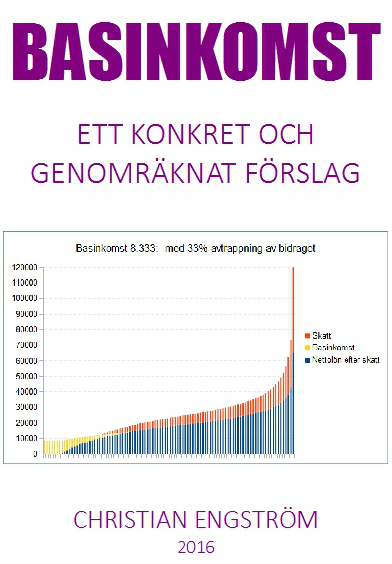 Det har visat sig vara ett effektivt sätt att få fram ny kunskap på många områden genom att låta datorer gå igenom mycket stora datamängder (till exempel databaser med miljontals vetenskapliga artiklar), och leta efter mönster och samband som ingen människa kan hitta i och med att det är så väldigt mycket data. Den här metoden kallas data mining, och har som sagt ofta visat sig vara mycket framgångsrik. Idag bryter data mining ofta mot upphovsrätten, eftersom det anses att författarna till vetenskapliga artiklar och annat skulle behöva ge uttryckligt tillstånd till att deras artiklar används på det sättet. Rent praktiskt finns det ju ingen möjlighet att i efterhand få fram sådana tillstånd från författarna till miljontals olika artiklar, så därför är data mining i praktiken olagligt idag i många fall. EU vill införa ett obligatoriskt undantag i upphovsrätten för att tillåta data mining, och det är bra. Men tyvärr är förslaget alldeles för snävt formulerat. Data mining bli tillåtet för ”forskningsinstitutioner”, men inte för andra aktörer som till exempel oberoende forskare, forskningsföretag, journalister eller vanliga medborgare. Förslaget om ett undantag för data mining är i grunden bra, men det behöver utvidgas så att det gäller alla. Skriv själv. Kommer det mejl från en massa olika personer där texten bara är kopy-pejstad och likadan, uppfattas det som spam av mottagarna, och kan ofta göra mer skada än nytta. Det är viktigare att du själv har skrivit texten i mejlet än att den är perfekt. Skriv på engelska, det kan alla ledamöter hantera. Skriv kort, som ett vanligt Facebook-inlägg ungefär. Välj ut en eller högst två punkter/argument, och fokusera på det. Om alla väljer sin egen favoritpunkt kommer det komma olika mejl från olika människor som lyfter fram olika aspekter. Det är precis så det ska vara för att kampanjen ska fungera bäst. Du behöver inte alls känna att du måste lyfta fram samtliga argument, utan det räcker med något eller några. Hela mejlet behöver inte vara mer än ett par-tre stycken långt. Håll en trevlig ton. Hur upprörd du än är, skriv hövligt och sakligt. Målet är att övertyga ledamöterna, inte att släppa ut ilska (även om ilskan i sig kan vara helt sakligt motiverad). Om inte annat kan du tänka på att en del av ledamöterna som du mejlar redan är på vår sida och tycker som vi, och dem vill du ju inte skälla ut eller vara oförskämd mot. Skicka till samtliga ledamöter i JURI-utskottet. I läget just nu, inför den 10 oktober, är det bara ledamöterna som sitter i JURI-utskottet som är intressanta. I ett senare skede, när det ska bli votering i plenum, kan det eventuellt bli aktuellt att skicka till alla ledamöter i hela parlamentet. Men inte nu, nu är det JURI som gäller. Det är totalt 46 ledamöter inklusive suppleanter (substitutes), så det innebär lite klickande att gå in på var och en av dem för att kopiera mejladressen. Men det tar inte så jättelång tid att bara göra det, när man väl har mejlet färdigt att skicka. Det är lätt att tro att man själv som vanlig medborgare inte kan påverka något, men det är helt fel. Det kan man visst. När jag själv var ledamot i EU-parlamentet såg jag med egna ögon vilken enorm skillnad det gör när vanliga medborgare engagerar sig och börjar mejla parlamentet. Det var så vi vann striden om ACTA-avtalet under förra mandatperioden. Nu har vi än en gång chansen att visa att engagerade medborgare kan ge Bryssel-lobbyisterna smisk på fingrarna! Uppdatering: I en tidigare version av den här bloggposten angav jag ett datum i september för omröstningen i JURI, men det datumet var fel. Enligt den senast tillgängliga informationen är det den 10 oktober som gäller – men även det kan komma att förändras. Men under alla omständigheter kommer omröstningen ske nu snart, i början av hösten 2017. Miljöpartiets kulturminster Alice Bah Kuhnke vill införa en bredbandsskatt och ge pengarna till ”kulturen”. Det är en mycket dålig idé. Bredbandsskatt, global license eller cultural flatrate är tre olika namn på en tanke som har föreslagits igen och igen i mer än ett decennium, men som aldrig har förverkligats. Det finns en anledning till det. Idén att lägga en avgift på alla internetabonnemang och dela ut pengarna till artisterna låter kanske enkel och tilltalande när man först hör den, men när man börjar titta på detaljerna för att formulera ett konkret förslag upptäcker man problemen.Att samla in pengarna är en sak. Man kan diskutera om det är rättvist att tvinga folk som faktiskt inte laddar ned något att betala i alla fall — inte ens förläggarna tycker det — eller varför vissa näringsidkare ska kompenseras för den tekniska utvecklingen, eller detaljer som hur man ska hantera det faktum att de flesta familjer har flera (mobila) internetanslutningar. Men vi lämnar det åt sidan. Det är när man kommer till hur pengarna ska fördelas som det blir riktigt roligt. Om man baserar utbetalningen till artister på vad som förekommer på TV och radio, kommer den största delen av pengarna att gå till etablerade artister som det redan går bra för. Det nuvarande systemet med avgifter för tomma skivor och USB-minnen fungerar på det sättet. Men en av de mest tilltalande egenskaperna med internet är att mindre och ännu inte så etablerade artister kan nå en publik trots att de inte förekommer på TV eller i radio. Det här den ”långa svansen”, och alla de mindre artisterna utgör tillsammans en ganska stor del av vad som laddas ned från nätet. Det här är den grupp av artister som de flesta vill stödja, både för den kulturella mångfald de representerar och för att de helt enkelt ofta behöver pengarna. Men med en bredbandsskatt byggd på antalet spelningar i TV och radio får de en väldigt liten del av de insamlade pengarna. Samtidigt har deras fans en mindre disponibel inkomst kvar att spendera på artisterna de faktiskt lyssnar på, eftersom fansen måste betala schablonbeloppet till de rika atisterna direkt ur sin hushållsbudget för kultur och underhållning. Nettoeffekten kan mycket väl bli ett system som minskar intäkterna för fattiga artister, och ger pengarna till de redan rika. Det alternativ som de flesta anhängare av bredbandsskatt förordar är istället att mäta vad som faktiskt sprids på nätet, och basera utbetalningarna på de siffrorna. Men det leder till andra problem. 35 procent av allt material som laddas ned från nätet är pornografi. Porr har exakt samma upphovsrättsskydd som andra audiovisuella verk. Om betalningarna från bredbandsskatten ska ses som ”kompensation” för nedladdningen av upphovsrättsskyddade verk, då ska 35 procent av pengarna rätteligen gå till porrindustrin. Tror du att politikerna vill skapa ett sådant system? Syftet här är inte att kritisera pornografin som sådan. Det är en populär form av underhållning och det är inget fel med det. Men det innebär inte att den behöver miljarder i statliga subventioner. Genom historien har det här varit en bransch som tydligt visat sin förmåga att stå för sig själv, om det är ett lämpligt uttryck i sammanhanget. Men om man vill utesluta pornografin från att få finansiering från bredbandsskatten, då räcker det inte med att skapa ”Europeiska nämnden för moral och god smak” eller någon liknande institution för att dra gränsen mellan konst och pornografi. Man måste också släppa alla argument som handlar om bredbandsskatt som kompensation för rättighetshavarna. I bästa fall blir det ett slumpvis utdelat kulturstöd, i värsta fall en principlös huggsexa om pengar, om man bestämmer att pornografin ska undantas från att få stöd från bredbandsskatten. Det är tekniskt möjligt att mäta vad som laddas ned från nätet med en någorlunda hög precision. En del lyfter fram integritetsfrågorna här, men i just det här speciella fallet skulle det inte behöva vara något problem. Det räcker att mätningen är ”tillräckligt bra”, den behöver inte spåra varje enskild nedladdning som var och en gör. Man kan ganska enkelt utforma ett system för att samla in tillräckligt bra statistik utan att kränka någons privatliv. Men i samma ögonblick vi vet att någon betalar ut pengar enligt nedladdningsstatistiken förändrar vi vårt beteende. Om du gillar en artist som släppt ett nytt album, laddar du idag ned albumet en gång och lyssnar på det. Men om du vet att din favoritartist får pengar i proportion till hur många gånger albumet laddas ned, då inser du snabbt att du kan hjälpa artisten genom att ladda ned samma album om och om igen. Eftersom det inte kostar dig några pengar alls, även om du laddar ned albumet tusen gånger eller en miljon gånger, är det precis vad många fans kommer göra. Vi vet att fans verkligen älskar sina idoler och vill att de också ska ha framgång ekonomiskt. Om allt man behöver göra är att starta ett treradigt script i datorn när den inte används till något annat, kommer massor med fans att göra det. Den enda verkliga begränsningen av det totala antalet ”jag-villhjälpa- min-favoritartist-nedladdningar” är kapaciteten i internetinfrastrukturen. Med andra ord: med bredbandsskatt för att ge pengar till kulturen uppstår en permanent överbelastning på nätet av helt onödig trafik. Det kommer inte spela någon roll hur mycket pengar internetleverantörerna lägger på att öka kapaciteten, all ny kapacitet kommer sugas upp direkt. Datorvirus är ett stort problem idag, trots det faktum att det faktiskt är ganska svårt för virustillverkare att tjäna pengar på sina kriminella aktiviteter. Syftet med ett datorvirus är oftast att installera en bakdörr till datorn för att göra den till en del av ett så kallat ”botnät” bestående av tusentals datorer som virustillverkarna kan ta kontroll över när de vill. En botnätsägare kan sälja sina tjänster till skurkar som vill skicka spam eller begå olika former av avancerade bedrägerier, men om virustillverkaren inte har kopplingar till organiserad brottslighet är det inte så enkelt att omvandla kunskaperna i virustillverkning till reda pengar. En bredbandsskatt där pengarna går till kulturen skulle ändra på det. Allt ägare till ett illegalt botnät behöver är i princip en kompis som spelat in en låt som täcks av upphovsrätten. Botnätsägaren kan sedan beordra de tusentals datorer han har kontrollen över att ladda ned låten om och om igen. Tack vare systemet med bredbandsskatt resulterar nedladdningarna automatiskt i att pengar betalas ut till kompisen med upphovsrätt på låten. Det kanske går lätt för polisen att upptäcka den här typen av brottslig aktivitet i dess mest primitiva form, men man inser lätt hur mer sofistikerade brottslingar skulle kunna utveckla systemet. Ett system med bredbandsskatt som pumpar ut miljarder kronor per år baserat på automatiserad statistik över nedladdningar blir ett högst intressant mål för kriminella. Och att tillverka skadliga datorvirus blir en mycket mer lönsam aktivitet än vad det är idag. Det finns inget problem som behöver lösas. Internet är en revolutionerande teknologi som förändrar många av kulturindustrins förutsättningar. Det är inte politikernas uppgift att skydda gamla affärsmodeller eller uppfinna nya. Men politikerna har ett ansvar för att säkerställa att vi har ett samhälle där kulturen kan blomstra och där kreativa människor har en möjlighet att tjäna pengar på vad de gör. För tio år sedan, när fildelning i stor skala via internet var ett nytt fenomen, var det kanske rimligt att fråga sig dels om den nya tekniken skulle påverka marknadsförhållandena för artister och upphovsmän så att de inte skulle kunna tjäna pengar på kultur, och dels om kulturproduktionen i samhället skulle komma att uppvisa en drastisk minskning. Idag vet vi bättre. Vi vet att svaret på bägge farhågorna helt enkelt var ”nej”. Vi vet att mer kultur än någonsin skapas, och att de som förutspådde ”slutet för musiken” eller liknande domedagsvisioner helt enkelt hade fel. Det finns ett växande antal vetenskapliga forskningsrapporter som visar att artisterna tjänar mer pengar nu i fildelningstider än tidigare. Skivbolagen förlorar på fildelningen, men artisterna vinner på den. Det är inte lätt att försörja sig som artist och det har det aldrig varit, men internet har öppnat nya möjligheter för kreativa människor som vill hitta en publik utan att behöva sälja sin själ till de stora företag som kontrollerade alla distributionskanaler. Det här är en mycket positiv förändring för artister och upphovsmän, både ur kulturellt och ekonomiskt perspektiv. Det finns inget behov av att kompensera någon för det faktum att tekniska framsteg gör världen till en bättre plats. Boken En reformerad upphovsrätt finns att ladda ner (och får naturligtvis spridas fritt). Jag hoppas, men tror kanske inte, att någon av kulturministerns partikamrater kan be henne läsa den. Boken är finansierades av den Gröna gruppen i EU-parlementet när jag ingick där som ledamot under förra mandatperioden. Den Gröna gruppen i EU-parlamentet antog den politik som beskrivs i boken i oktober 2011. Miljöpartiet och kulturministern är välkomna att göra detsamma. SvD Näringslivs debattredaktör Jan Scherman ondgör sig över fildelnigen, och jämför att dela med sig av kultur med att stjäla på ICA. Han har alltså inte gjort minsta försök att sätta sig in i frågan, utan bara skriver i ren oreflekterad ilska. Fildelning kan aldrig vara stöld, vare sig juridiskt, rent praktiskt eller moraliskt. Jag läste din krönika om fildelning på SvD Näringsliv den 29 mars. Tyvärr kan jag inte påstå att jag håller med, eller att jag tycker analysen var särskilt djup eller faktabaserad. Här är en bok som jag har skrivit tillsammans med Piratpartiets grundare Rick Falkvinge. I den förklarar vi konflikten mellan upphovsrätten och mänskliga rättigheter, och berättar hur vi vill lösa den konflikten. Det enda sättet att ens försöka stoppa den illegala fildelningen är att övervaka allt som alla skickar till varandra på nätet. Så länge det finns möjligheter för människor att kommunicera med varandra utan att myndigheterna kan läsa det, kommer de möjligheterna att utnyttjas även för att sprida upphovsrättsskyddade verk. Just den här frågan är faktiskt ganska svart eller vit. Man kan inte vara ”lite grand” med barn. Samhället står alltså inför ett val. Endera säger vi att rätten till privat kommunikation (artikel 8 i Europakonventionen) är överordnad. I så fall finns det inget sätt att stoppa fildelningen. Då får underhållningsbranschen anpassa sig den verkligheten. Eller så säger vi att upphovsrätten är viktigare är rätten till privatliv, och avskaffar rätten till skyddad kommunikation. Det tror jag uppriktigt sagt inte att du heller vill, eftersom det är en av de grundläggande fri- och rättigheterna som utgör grunden för det demokratiska samhället. Och vad gäller underhållningsindustrins möjligheter att tjäna pengar även i den nya verkligheten finns det inte ens någon anledning att oroa sig. Det vet vi nu när vi har 15 års praktisk erfarenhet av fildelning i global skala på internet. Trots (eller tack vare) den illegala fildelningen har intäkterna för både film- och musikbranschen ökat stadigt under den här tiden. Det framgår av både branschernas egen statistik och en allt större mängd oberoende forskning. Jag hoppas du tycker boken är intressant. Dessbättre visar det sig att dilemmat går alldeles utmärkt att lösa utan att inkräkta på de grundläggande fri- och rättigheterna, och utan att intäkterna för kultursektorn minskar. Den Gröna politiska gruppen i EU-parlamentet (där jag ingick som ledamot för Piratpartiet förra mandatperioden) står bakom det förslag till reformerad upphovsrätt som presenteras i boken, inklusive en legalisering av fildelning. Kontakta gärna mig om du har kommentarer eller frågor. Jag är alltid tillgänglig, och efter att ha arbetat med upphovsrättsreform under fem år som EU-parlamentariker är jag fortsatt intresserad av frågan. Mattias Bjärnemalm: Är fildelningsfrågan död?